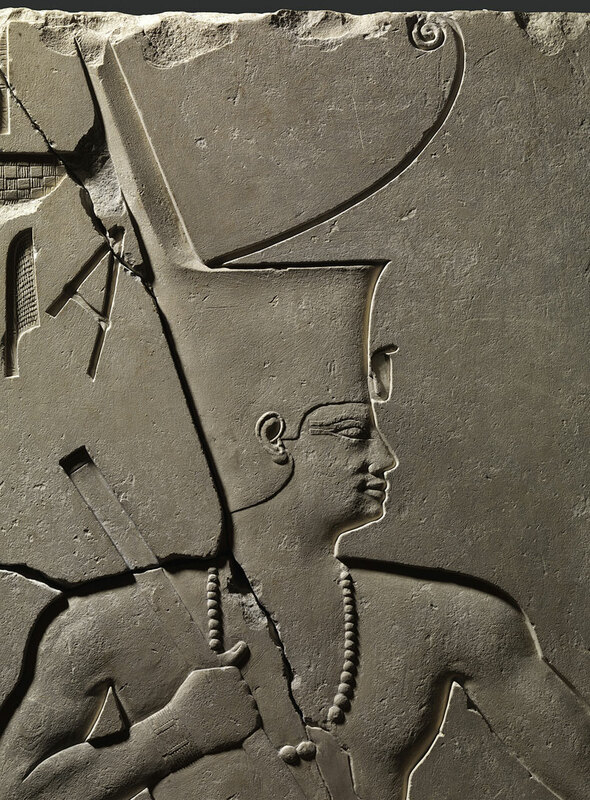 The arrestingly beautiful portrait of Amenemhat III, pharaoh of Egypt almost 4,000 years ago, captures the individual rather than taking the more usual Egyptian approach of portraying the ruler as the divine ideal of power and prestige. It was made during the relatively short Middle Kingdom era, which lasted just four centuries, 2030–1650 BC, and was something of an anomaly in the very, very long stretch of Ancient Egyptian civilisation (which lasted from roughly 3500 BC, though some would push it back to the arrival of farming in the Nile Valley around 5000 BC, up to either Alexander the Great’s defeat in 332 BC or Cleopatra’s death in 30 BC when it was absorbed into the Roman Empire). The Metropolitan Museum’s ‘Ancient Egypt Transformed: the Middle Kingdom’, brings together new research to reveal that this period, which saw the reunification of Egypt, was ‘one of the great flowerings of any ancient civilisation’, as the museum’s curator of Egyptian art, Adela Oppenheim, puts it. ‘It is transformational, a rethinking of kingship, a rethinking of religious beliefs. 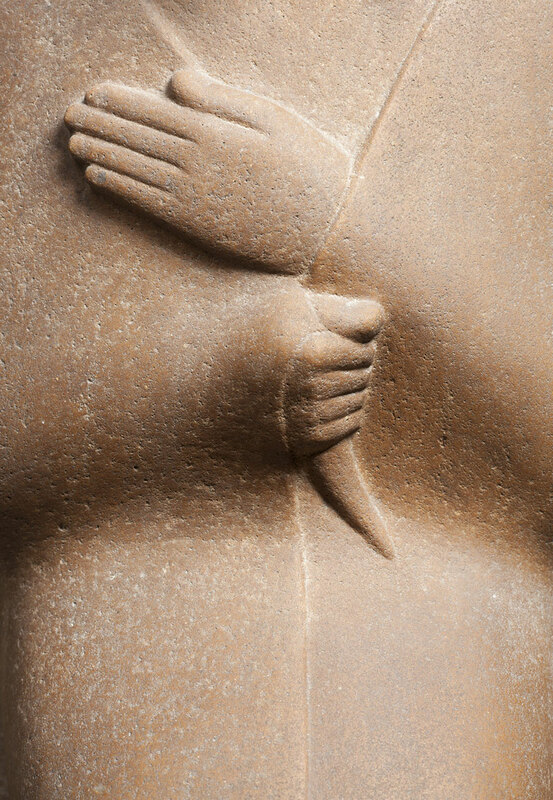 It upends the view that Egyptian art is all the same and all about idealisation.’ In the Met’s Middle Kingdom show we see real people, like Henut the hairdresser coiffing Queen Neferu’s locks – possibly a ritual to honour Hathor, goddess of love and sexuality. One stele has a crowd of 30 individuals engraved onto it; a stone has a long declaration by an artist about his son’s inheritance; and Sehetepibre, who seems to have been a ‘steward of the double house of the treasury’, a major position, sits with his dutiful head facing forward, his hands resting on ungainly knobbly knees. A third of the 230 pieces on show – which range from bold statues and delicate jewellery to a fully manned miniature sailing boat and the Met’s much-loved blue faience hippopotamus – are drawn from the Met’s own collection, the result of more than a century of collaboration in archaeological explorations in Egypt. The Met’s first project there ran from 1906 to 1934 at el-Lisht, south of Cairo, which was the site of the Middle Kingdom’s new capital, Itjtawy, founded in 1981 BC by Amenemhat I soon after he became king. The Met’s archaeologists have also worked at Deir el-Bahri (1920–31), back at el-Lisht (1984–91) and, since 1990, at Dahshur, a near el-Lisht. These long commitments, as well as the excavation and division agreement with Egypt, are the reasons the Met has the best collection of Middle Kingdom objects outside Egypt. Yet this exhibition is the first to be devoted to the period. The many stone portraits, displayed chronologically through the galleries, demonstrate most clearly how the art of the Middle Kingdom relaxed, moving away from divine perfection to a more individual emphasis. As Oppenheim says, Egyptian culture at this time is ‘remarkably flexible within a consistent framework. New ideas did not simply replace earlier notions; they were added to what had come before, creating a fascinating society of ever-increasing complexity.’ So, a monumental portrait of King Senwosret I wearing the double crown as king of Upper and Lower Egypt is carved in an intentionally archaic style to link him with earlier pharaohs. It is quite different from two later masterpiece portraits of the Middle Kingdom: the calm statue of Nemtihotep, who held the high position of Sealer and whose enveloping cloak subtly reveals his elegant limbs; and the sublime portrait of Amenemhat III whose soft skin over high cheekbones contrasts with his polished White Crown. The pharaohs of the Middle Kingdom revived pyramid construction at Dahshur after a lapse of more than a century. So, in addition to the found objects, there is a scale model of the finest royal pyramid, that of Senwosret III, who built the Canal of the Pharaohs and whose military campaigns ushered in an era of peace and economic prosperity. The financing for this exhibition, whose costs were surely hefty, might have strained even the impressive fund-raising skills of the Met. But it was achieved thanks to an endowment fund established more than 20 years ago by the forthright campaigning philanthropists Dorothy and Lewis B. Cullman, who have funded more than a dozen major shows and catalogues in classical archaeological fields. Their generous purse is also supporting the Met’s show next spring on ‘Pergamon and the Art of the Hellenistic Kingdoms’ – another blockbuster of ancient art. ‘Ancient Egypt Transformed: The Middle Kingdom’ is at the Metropolitan Museum of Art, New York, until 24 January 2016.